Our writing workshops celebrate each student's experience as a human being. Why are HMS writing workshops unique? Because WE CELEBRATE DIVERSE VOICES. Hypertext Studio's pedagogy – the Story Workshop® Approach of the Teaching of Writing – has been tried and tested for over 50 years. experience as a human being – collecting and mining life experiences and encouraging writers to use vivid language –including dialect. 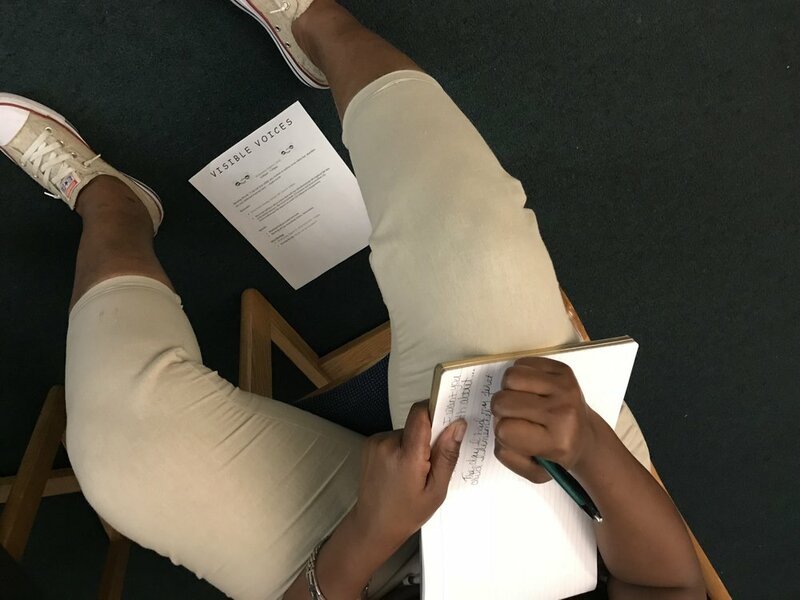 The ideal workshop brings a diverse range of voices and content into the semi-circle, giving permission and challenging students to bring their wealth of experience into the writing. Our home base is Chicago and we are focused on working with social service nonprofits to help build storytelling and writing skills. And since all we need to teach a class is a room and willing would-be writers, we're ready and willing to teach anywhere in Chicago. Since 2010, our online literary magazine, Hypertext Magazine, has been committed to publishing first-time published, up-and-coming, and established writers. Since we have this built-in platform, we can publish our social service clients' writing too. We know that, this first year, the road to securing funding will be challenging but we feel that the services we provide – teaching people to share their stories, to write – is vital.